For ladies (and gentelmen, why not) who wish to try the same Samira points us to an online manual for publishing text on your nails. hm. so how is this not banal but political? Don’t you know we’re all about the political through the banal? 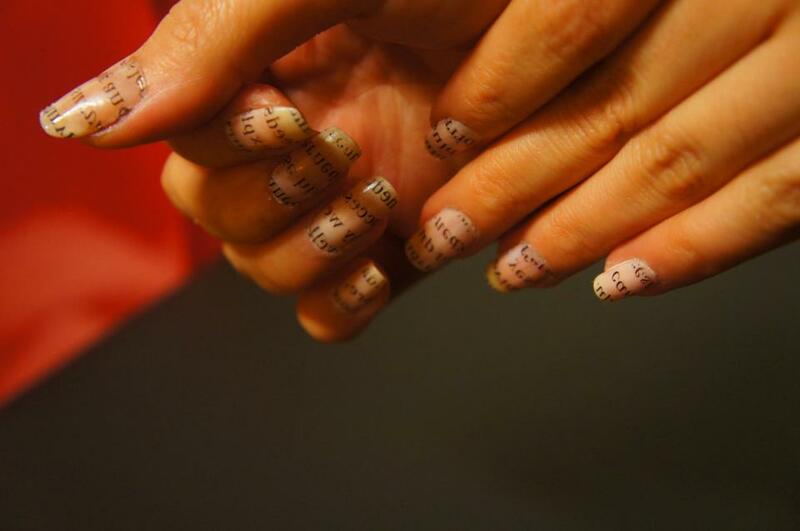 Also, when you still meet people who are surprised Middle Easterners read books at all, imagine what it does to their poor brain synapses when they read about Iranian girls with Derrida and Foucault on their nails.